Team: Dr Liz Jackson, Faculty of Education, Dr Lucy Jordan, Faculty of Social Sciences, Ms Yulia Nesterova, Education, Dr Gizem Arat, Social Sciences & Dr Zhou Xiaochen, Social Sciences. The University of Hong Kong attracts research students from around the world due to its international outlook, unique sociocultural and economic position, and innovative practices. 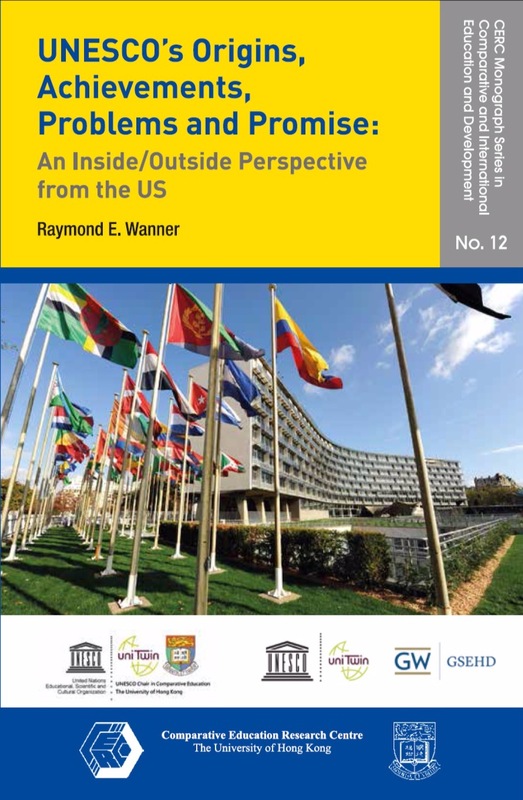 Internationalization and the resulting diverse body of students, however, pose challenges in terms of curriculum, teaching, learning environments, supervision, and other activities. Little is known about the experiences of non-local (Mainland Chinese and overseas) research postgraduate students. 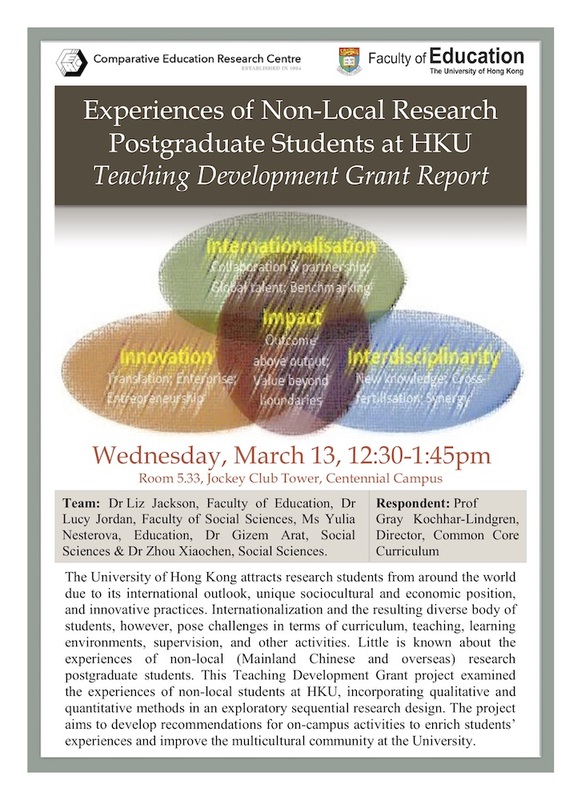 This Teaching Development Grant project examined the experiences of non-local students at HKU, incorporating qualitative and quantitative methods in an exploratory sequential research design. The project aims to develop recommendations for on-campus activities to enrich students’ experiences and improve the multicultural community at the University. In the past 28 years since regaining independence from the Soviet Union, Lithuania has transformed its society and the higher education system. Since joining the European Union in 2004, Lithuanian higher education has aligned its policies and practices with the EU. This integration created many opportunities as well as some challenges. 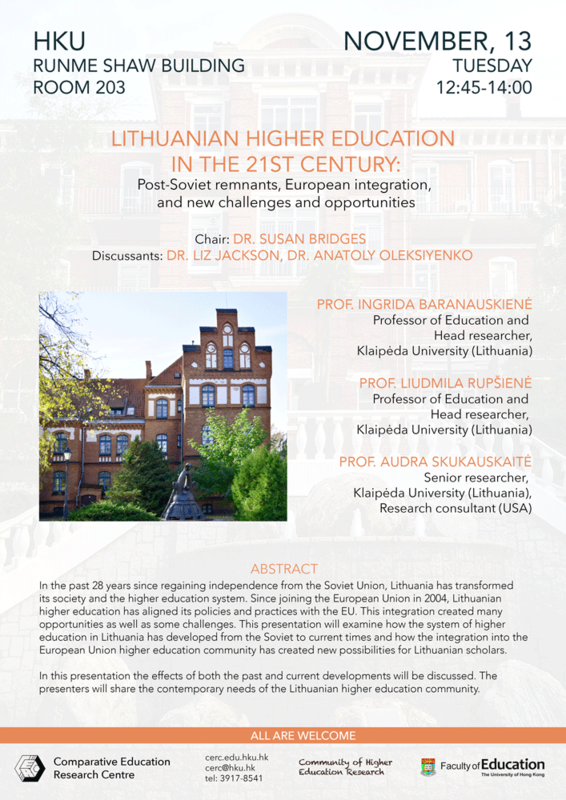 In this presentation, we will examine how the system of higher education in Lithuania has developed from the Soviet to current times and how the integration into the European Union higher education community has created new possibilities for Lithuanian scholars. 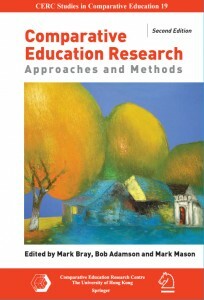 The current research project, “Researching Specialist Training to Provide Holistic Help to People with Disabilities in the Health Care System while Improving Researcher Competencies” will be used as a telling case to ground the discussions of the history, developments, and needs in Lithuanian higher education. Chair: Dr. Susan Bridges. Discussants: Dr. Liz Jackson, Dr. Anatoly Oleksiyenko. Prof. Audra Skukauskaitė is a senior researcher at Klaipeda University, Lithuania, as well as an independent researcher and research consultant for the Lemelson-MIT program at the Massachusetts Institute of Technology in the USA. Dr. Skukauskaitė resides in the US and serves as an adjunct professor of qualitative research methodologies in the College of Integrated Medicine and Health Sciences and the College of Social Sciences at Saybrook University in California, USA. Dr. Skukauskaitė has conducted seminars on varied qualitative research methodologies in Lithuania, Finland, Sweden, Australia and the US and has taught writing for academic publication in English for international scholars. 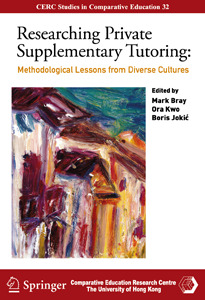 Dr. Skukauskaitė has published numerous research articles and book chapters focusing on ethnography, research epistemology and transparency, transcribing and interviewing, as well as on the teaching and learning of research. Dr. Skukauskaitė serves on editorial boards of four journals and has an extensive experience of reviewing and supporting the writing of manuscripts for academic publications. Over the past 15 years, Dr. Skukauskaitė has served in multiple leadership positions in the American Educational Research Association. Currently, she serves as chair of the Qualitative Research section of the Measurement and Research Methodology Division (D) as well as chair of the John. J. Gumperz Lifetime Achievement Award committee of the Language and Social Processes SIG at AERA. As a researcher, research consultant, and professor of research methodologies and qualitative research, over her career, Dr. Skukauskaitė has worked with diverse scholars and students across disciplines to develop, conduct, and support research studies in complex educational and transdisciplinary environments. Her recent work has explored invention education and ways of utilizing ethnographic and discourse-based research epistemologies to examine complex processes of constructing and publishing research in science and engineering education. Dr. Skukauskaitė’s overarching interests focus on ways of utilizing research-based ways of thinking and knowing to develop deeper understandings and trustworthy representations of the complex processes and practices of learning, teaching, and living in dynamic academic, socio-historical, economic, and cultural environments. 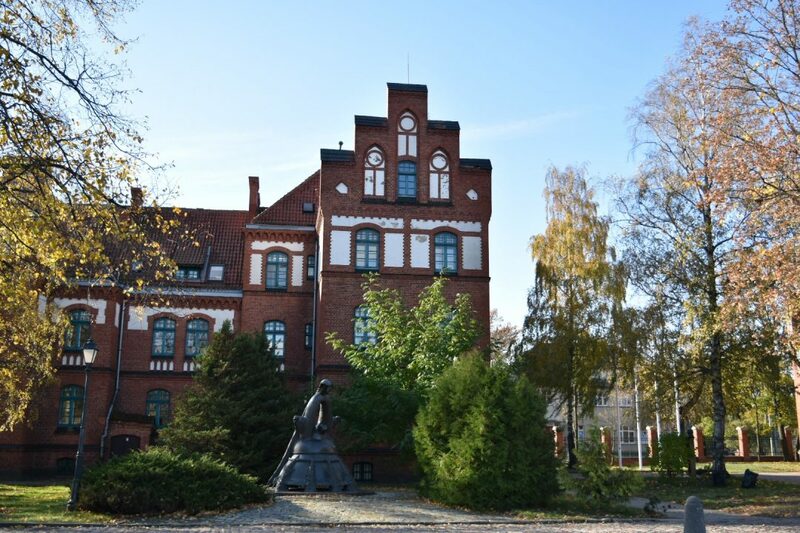 Prof. Ingrida Baranauskienė is a professor of Education and head researcher at the Faculty of Health Sciences of Klaipėda University (Lithuania). For over ten years, the professor has been the dean of the Faculty of Social Welfare and Disability Studies of Šiauliai University. The field of her scientific interests: preconditions for success in social participation of people with disabilities. 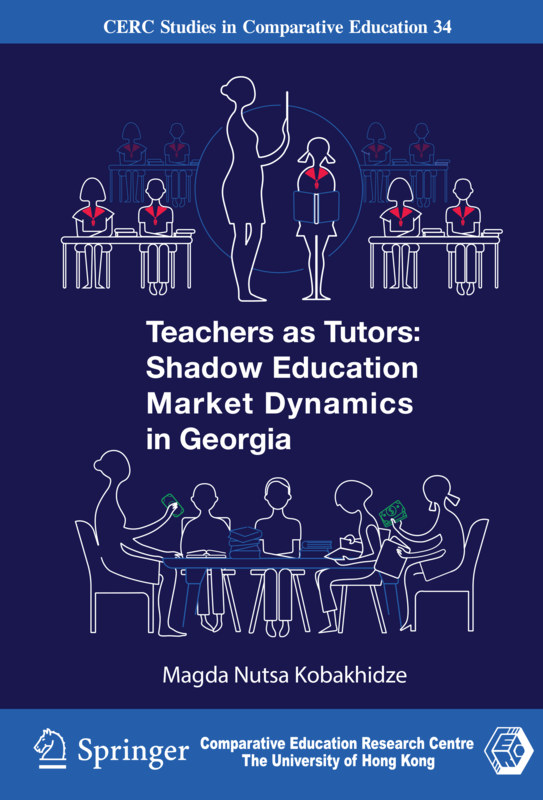 I. Baranauskienė is a co-author of two monographs on the participation of people with disabilities in the labour market, an initiator of five scientific studies presenting research on social exclusion. She is an author of many scientific articles on disability research. To make an impact on active practice of Lithuania and other European countries, the professor takes an active part in international projects, initiates and implements them. I. Baranauskienė was awarded the title of the honorary doctor of the university “Ukraine” for her practical activities and support to the Ukrainian system of higher education. The professor has been elected as an expert in the area of Education Science in Latvian Academy of Sciences for a maximum term of three years. I. Baranauskienė is the editor-in-chief of the journal “Social Welfare: Interdisciplinary Approach”, member of editorial boards of several other scientific journals. Currently, in cooperation with other scientists, I. Baranauskienė is investigating the accessibility of the health care system to Lithuanian people with disabilities through participation in the high-level scientific research project “Researching Specialist Training to Provide Holistic Help to People with Disabilities in the Health Care System while Improving Researcher Competencies”. Judith Green, professor emerita of the University of California in Santa Barbara, is the leader of this project. The project is funded by the Research Council of Lithuania jointly with the European Union. Prof. Liudmila Rupšienė is a professor and senior researcher at Klaipeda University. The main scientific interest – research methodology. Author of a number of books with three of them focusing on research methodology: Methodology of Qualitative Research Data Collection (2007), Methodology of Qualitative Research (2008), Educational Experiment (2016). Published more than 100 scientific articles, made around 100 presentations in scientific conferences in Lithuania and abroad (Latvia, Poland, Spain, Denmark, Russia, USA and many other countries). Member or leader of international and national projects (ERASMUS+ and others), Lithuanian principal investigator in European scientific project ESPAD. Scientific supervisor of doctoral students, supervised for 7 defended doctoral dissertations, chairwoman, member or opponent of around 60 doctoral dissertation defense boards, member of habilitation procedure board, member of the committee for the joint education doctorate of four Lithuanian universities consortium (since 2011). Expert of the State Studies Foundation, Centre for Quality Assessment in Higher Education, the president of Lithuanian Educational Research Association, council member of European Educational Research Association. Member of editorial boards of two Lithuanian academic journals. Date: Tuesday, 13 November 2018. Venue: Room 203, Runme Shaw Building. by Dr. Richard Heraud, Tutor, Faculty of Education, University of Waikato, New Zealand. In the seminar, Dr Heraud will problematize how the concept of innovation is understood in tertiary institutions in New Zealand, with the intention of characterizing the collaborative conditions under which Chinese/Hong Kong and New Zealand institutions might collaborate more in the future, and how to best understand shared academic and commercial opportunities and benefits that should flow from such relations. The nexus of the discussion will focus on the difference between Technological Innovation and Technological Change, and how these concepts occupy our thinking in diverse ways regarding how innovation and change are realized in tertiary institutions. Dr. Richard Heraud’s research interests concern participation in the innovation process, open innovation, networked and collaborative relations in R&D, in particular involving relations between researchers and technologists in New Zealand and China. He is co-editor of E-Learning and Digital Media, managing editor of the Open Review of Educational Research, co-editor of the Encyclopedia of Educational Innovation, co-editor of Organization and Newness: Discourses and Ecologies of Innovation in the Creative University. Date: Tuesday, 23 October 2018. Venue: Room 402, Runme Shaw Building. 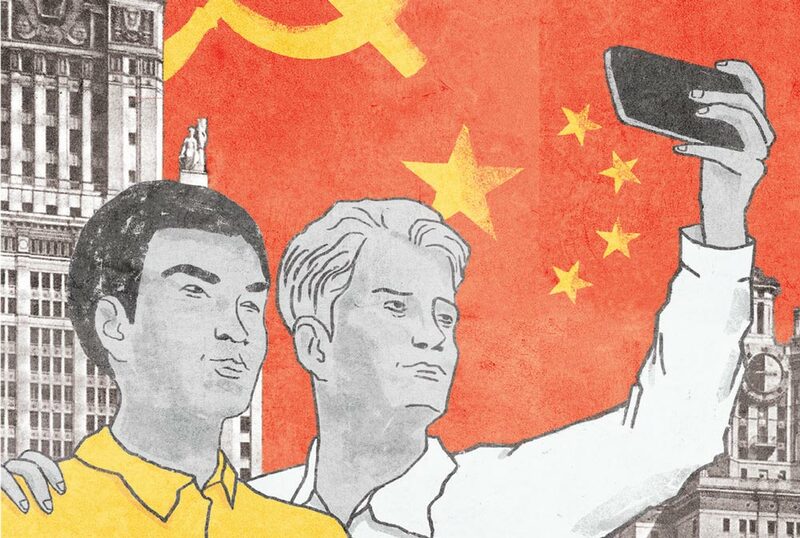 by Dr. Anatoly Oleksiyenko, Associate Professor of higher education, Faculty of Education, University of Hong Kong and Dr. Wenqin Shen, Associate Professor of higher education, Graduate School of Education, Peking University. CERC invites you to the book launch at which you will meet the scholars investigating global tensions between the movement to advance progressive university policies and practices and the countervailing forces for restoring old-style hyper-centralization and indoctrination. 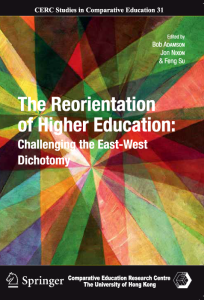 The cases of higher education systems in China and Russia provide intriguing insights into the anxiety generated by these tensions. Book Launch special price: HK$200 (HK$250 market price). Anatoly V. Oleksiyenko’s research focuses on governance transformations in global higher education. Over the last decade, he has conducted studies on international competition and the collaboration strategies of research universities in Cambodia, Canada, China, Hong Kong, Russia, Singapore, Taiwan, Ukraine, and the United States. Wenqin Shen researches training system and doctoral education in China and around the world, the history of higher education (history of the idea of liberal education and history of the field of higher education research), student mobility, and the internationalization of higher education. Date: Monday, 15 October 2018. You’re cordially invited to the next CERC seminar co-hosted with the Faculty of Education on coming Thursday, 04 October 2018 at 12:45 – 14:00 in Room 203 of Runme Shaw Building. This paper assesses the works of Paul Monroe, Isaac L. Kandel and the International Institute at Teachers College, Columbia University in the early 20th century. Drawing on Edward Said’s notion of contrapuntal reading, it foregrounds the colonial and imperial realities of the time as constitutively significant to the early formation of the field. In so doing, the paper unsettles the comforting ways in which the founding histories of the field have been narrated. By illuminating colonial/imperial entanglements during the formative period, this paper reflects upon how the historical and geopolitical context sets limits on what knowledge we produce and how, when the relationship between our scholarship and international development agencies is closer than ever. 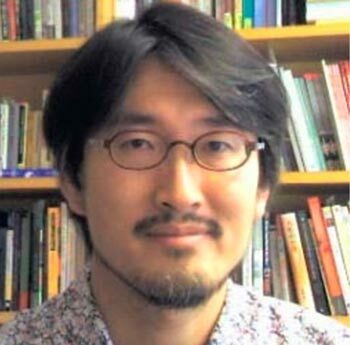 Dr. Takayama’s research examines globalization of education both as an empirical and epistemic phenomenon. 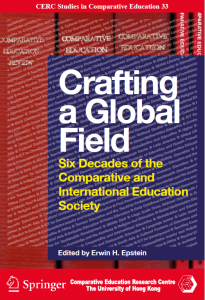 Recently, he co-edited two special issues in Comparative Education Review and Postcolonial Directions in Education. Currently, he serves the editorial board for Asia Pacific Journal of Education, Comparative Education Review and International Studies in Sociology of Education. Date: Thursday, 04 October 2018. You’re cordially invited to the next CERC seminar co-hosted with the Faculty of Education on coming Tuesday, 18 September 2018 at 12:45 – 14:00 in Room 204 of Runme Shaw Building. This seminar will present the findings of a CERC research project conducted in Myanmar under the auspices of UNESCO and with support from the Yangon University of Education (YUOE). A mixed-methods study collected data from students in Grades 9 and 11 and from teachers, parents and other stakeholders. Some features of shadow education resemble those in other places, but some reflect the regulations and socio-political culture of Myanmar. 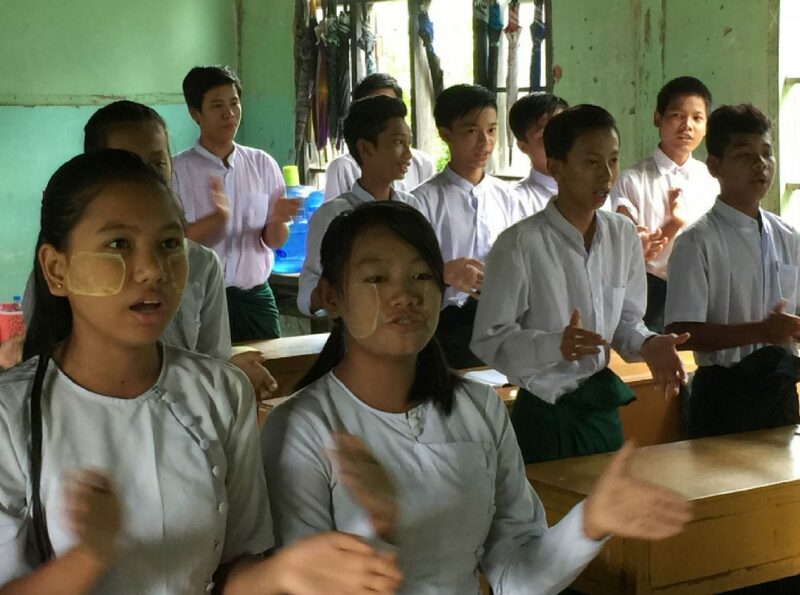 Later this month the authors will discuss the findings with policy-makers in Myanmar’s Ministry of Education. They will value suggestions during this CERC seminar on the ways to highlight the core issues most effectively. Date: Tuesday, 18 September 2018. Venue: Room 204, Runme Shaw Building. In The Making of Indigeneity, Lopez interrogates how what is “indigenous,” as a category of diversity, emerged, has been made, remade, and is taken up to fund discourses of multiculturalism and intercultualism. Through historical and ethnographic classroom research Lopez devices eventalizing as a methodological approximation to educational research at the limits of “the educational” to interrogate how liberal and progressive propositions for educating the “Indian” generate particular ways of organizing difference ostensibly meant to serve historically marginalized indigenous peoples. Asking questions of the historical and scientific involvement of anthropology, sociology, law, photography, and education in the making of indigenous as a kind of people, Lopez accounts for the aspirations, activities, and tactics that perpetuate violence on indigenous lives limiting their futurity as un-fixed being. 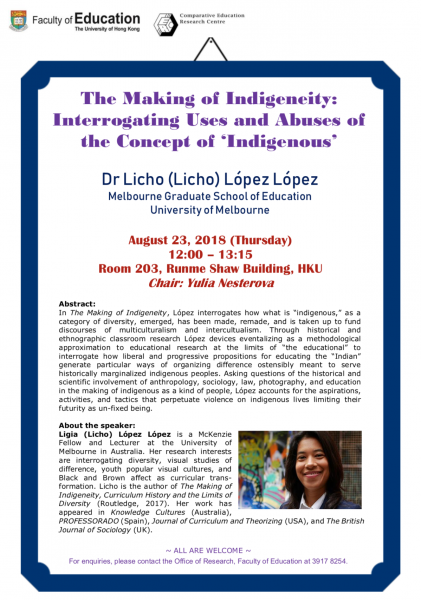 Ligia (Licho) Lopez Lopez is a McKenzie Fellow and Lecturer at the University of Melbourne in Australia. Her research interests are interrogating diversity, visual studies of difference, youth popular visual cultures, and Black and Brown affect as curricular trans-formation. Licho is the author of The Making of Indigeneity, Curriculum History and the Limits of Diversity (Routledge, 2017). Her work has appeared in Knowledge Cultures (Australia), PROFESSORADO (Spain), Journal of Curriculum and Theorizing (USA), and The British Journal of Sociology (UK). 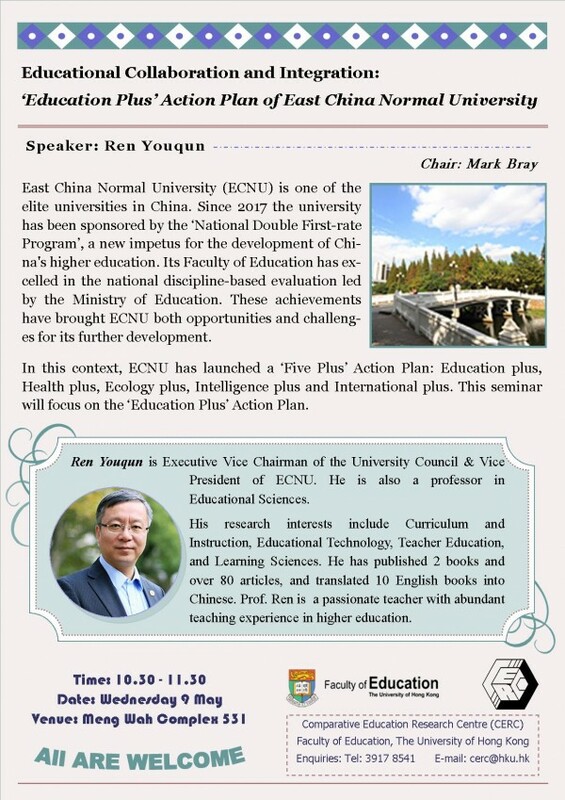 Ren Youqun is Executive Vice Chairman of the University Council & Vice President of ECNU. He is also a professor in Educational Sciences. His research interests include Curriculum and Instruction, Educational Technology, Teacher Education, and Learning Sciences. He has published 2 books and over 80 articles, and translated 10 English books into Chinese. Prof. Ren is a passionate teacher with abundant teaching experience in higher education. Abstract: East China Normal University (ECNU) is one of the elite universities in China. Since 2017 the university has been sponsored by the ‘National Double First-rate Program’, a new impetus for the development of China’s higher education. Its Faculty of Education has excelled in the national discipline-based evaluation led by the Ministry of Education. These achievements have brought ECNU both opportunities and challenges for its further development. In this context, ECNU has launched a ‘Five Plus’ Action Plan: Education plus, Health plus, Ecology plus, Intelligence plus and International plus. This seminar will focus on the ‘Education Plus’ Action Plan. Click here for the poster. Using a psychological lens, this seminar will focus on the opportunities and challenges inherent in the educational sojourn experience of a considerable number of students engaged in international education. The discussion will be grounded in a developmental theory originally proposed by Urie Bronfenbrenner leading to a new perspective concerning the distinctive processes entailed in an educational sojourn, particularly the implications of co-existing multilevel ecological systems from both ‘home’ and ‘host’ countries. There is a strong argument that a greater appreciation of this less explored perspective of academic acculturation is not only central to the quality of students’ educational experience but is equally crucial to the success or failure of these educational sojourns. The value of understanding academic acculturation warrants an important question with respect to the roles played by Higher Education Institutions, staff members and students themselves in maximising what international education can offer, not only to educational sojourners but equally, to realising ‘internationalisation at home’. 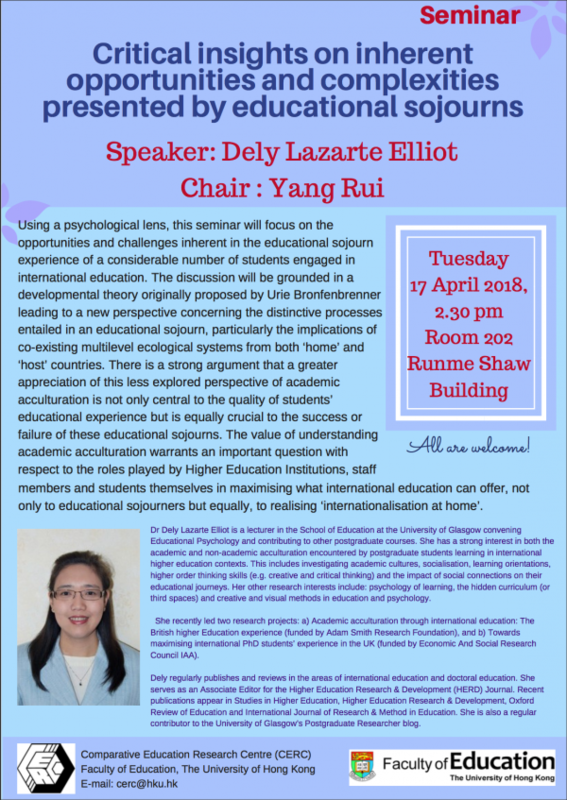 Dr Dely Lazarte Elliot is a lecturer in the School of Education at the University of Glasgow convening Educational Psychology and contributing to other postgraduate courses. She has a strong interest in both the academic and non-academic acculturation encountered by postgraduate students learning in international higher education contexts. She recently led two research projects: a) Academic acculturation through international education: The British higher Education experience (funded by Adam Smith Research Foundation), and b) Towards maximising international PhD students’ experience in the UK (funded by Economic And Social Research Council IAA). Dely regularly publishes and reviews in the areas of international education and doctoral education. She serves as an Associate Editor for the Higher Education Research & Development (HERD) Journal. Recent publications appear in Studies in Higher Education, Higher Education Research & Development, Oxford Review of Education and International Journal of Research & Method in Education. Each year, UNESCO produces a Global Education Monitoring Report to assess progress towards the fourth of the UN’s Sustainable Development Goals (SDGs), which focuses on education and has a target date of 2030. In addition to statistical assessments, the report has a theme. For 2017/18, the theme is ‘Accountability in Education’. CERC will host a Round Table to discuss the Report, which can be accessed here. 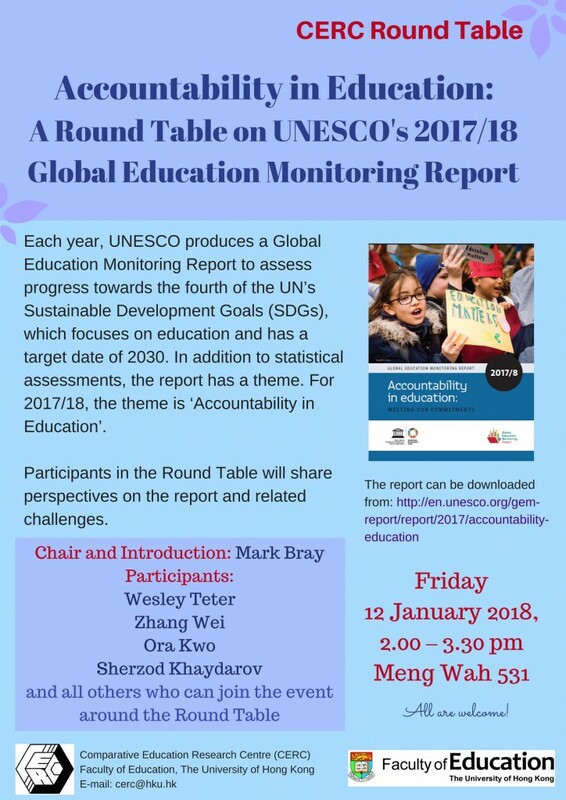 Who: Mark Bray (Chair), Wesley Teter, Zhang Wei, Ora Kwo, Sherzod Khaydarov – and all other around the Round Table. Come to learn about the Report and to discuss the themes with colleagues. All are welcome! CERC is at CIES! 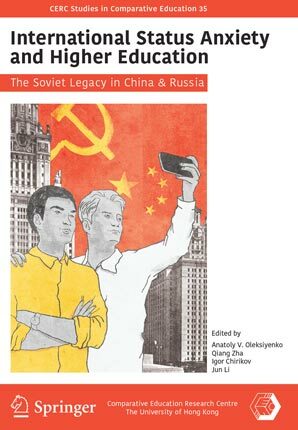 Don’t miss Anatoly and colleagues’ book launch, and our book table this week! Books on discount for only US$20 or $10! The next event for the CERC SIG on Peace, Conflict, and Sustainable Development will be held Monday, April 29th, where we will be sharing about.. Please join for an insightful and interesting evening. 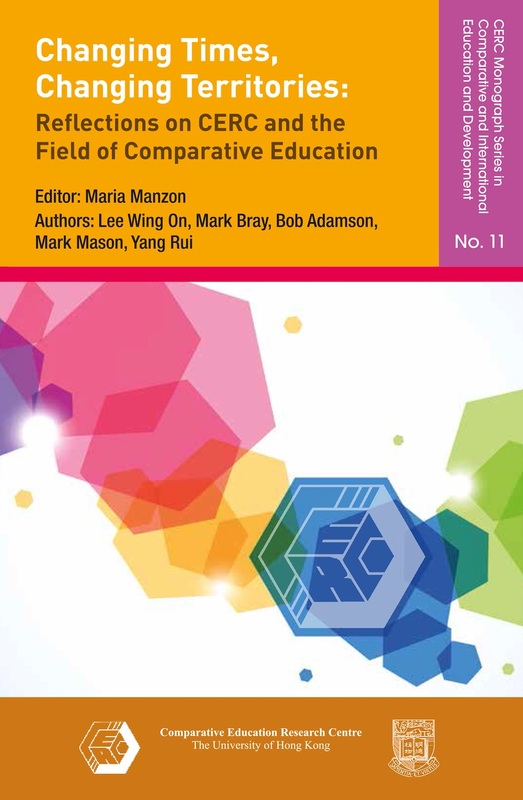 Copyright © 2018 Comparative Education Research Centre.